It is no doubt that President Nobita's idiotology had actually caused more ha than good in the rule of yellow. Really where has brain been? In space? Sad to say but President Nobita hasn't gotten any smarter ever since the dawn of Doraemon until today. Unfortunately that is the problem behind the rule of yellow. Nobody is really smart and relies too much in popularity. In fact people elected him because he was popular, because his late mother was in the line of presidents, because his father was considered a hero. But sad to say, what his father said about the Filipino being worth dying for may not be true anymore thanks to what happened after his mother's rule up to his rule. Really President Nobita, really? If Ninoy died for freedom, Nobita is unfortunately gambling it. 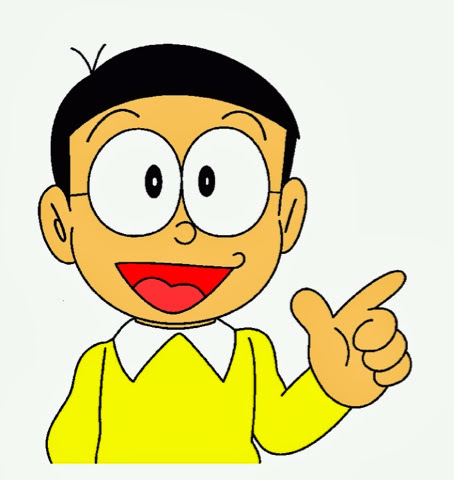 So what's wrong with Nobita's rule of yellow? Simple... it's no ideology but idiotology at best. I mean, until now he refuses to apologize to Hong Kong for the incompetence of the police force in handling the crisis caused by the late Rolando Murderza. He still refuses to repeal the 60/40 rule. He still refuses to do whatever it takes to increase jobs in the Philippines. In fact, because of him maybe his evil sister Krisis will soon rule the Philippines with an iron fist. The idiotology of Nobta is "If nobody's corrupt, nobody's poor." Really? Even if everyone in the arena of government were competent but let's really think... you cannot zero down poverty. If a person refuses to accept a job and let some stupid uncle support him, they'll still be poor. He might as well consider the flaw behind his idiotology is that unfortunately, he isn't really fighting against corruption, more like his rivals only and he is wasting much of the money on that. Why keep Napoles in a comfy cell? She should be kept in a regular prison like the rest of the criminals! Really Nobita where is your brain again? In space? As said, rule of yellow is NOT the rule of law!